A few weeks ago, Jim and I took a day trip to Anderson Valley. It's a long drive from San Francisco (around 2.5 hours), but it was so worth it! It's one of those areas I'd had on my "short day trip" list for a while based on good reviews and the fact that it's our last name. Since we were planning to go up there, we drove a little further to Mendocino for lunch. 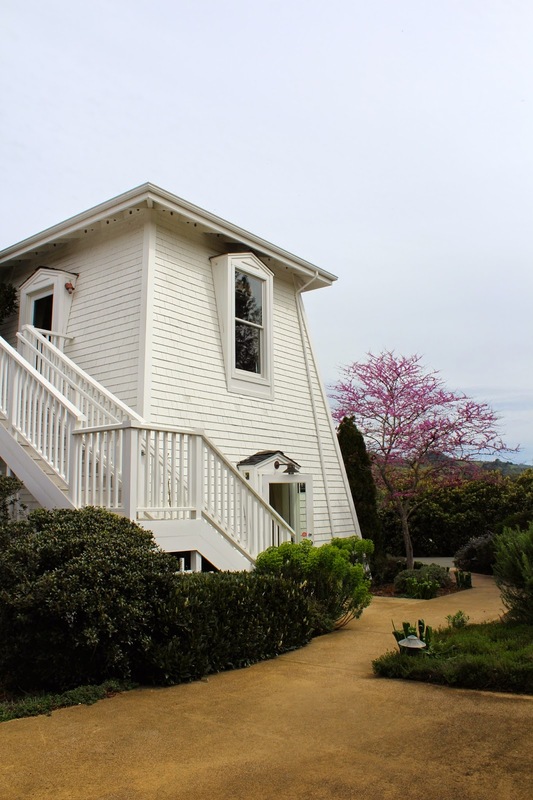 Mendocino has a beautifully rustic coastline dotted with B&B's, leading to a quaint little town with shops and eateries. We enjoyed the view, moseyed around, and popped in for lunch at a local bakery before heading back down South to Anderson Valley. To be honest, I was dying to get back there to go wine tasting! The area is very well known for Pinot Noir, one of my favorite reds. There are over a dozen wineries and tasting rooms to choose from, but I had my heart set on Goldeneye. I'd heard good things about Goldeneye Winery from our visits to Duckhorn and Paraduxx in Napa (both part of the Duckhorn label). 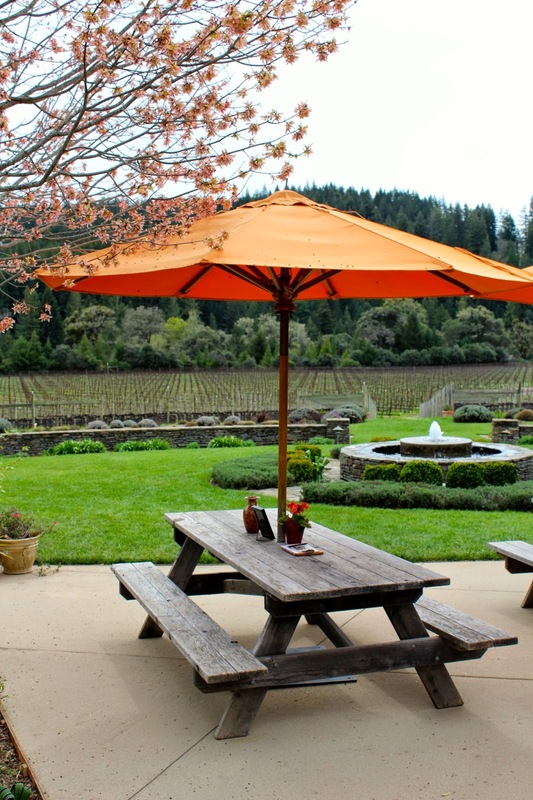 The setting there is ideal...a sprawling manicured garden, green vineyards and mountains in the distance, picnic tables with bright orange umbrellas and lovely service. What I love most about Goldeneye is the tasting experience itself. They bring out tasting cards for each glass along with cherries and almonds to refresh your palate. Perfect. It was the most leisurely way to spend a Sunday outdoors and just put our feet up. I see another Anderson Valley weekend trip in our future.